design and paint custom artwork on a vw love bug. 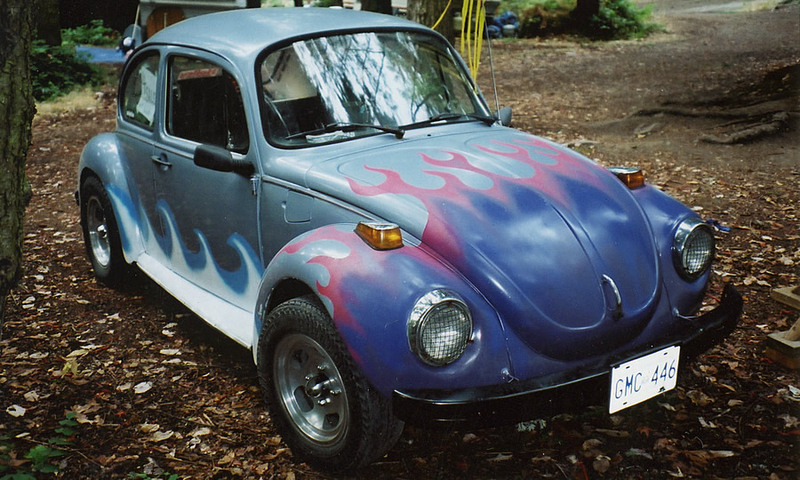 this bug needed some love and the owner wanted it to stand out with a crazy combination of flames and waves. the colors were chosen to work with the existing paint job and give it the edge on the road. thanks to the owner, curtis, for his massive and professional contribution to the preparation work, painting, and finishing. Posted in art.design.life.Tagged design, feature, graf, illustration, paint.